I don’t usually post my opinions here on my blog, and that goes for this dramatic election of 2016. I can say that I have never been so scared in my life at the outcome of an election, but for me, the number one issue has always been our national safety. There are, of course, many other important issues, and voters are very passionate about those issues, but still, for me, little is as important as being able to live in peace. 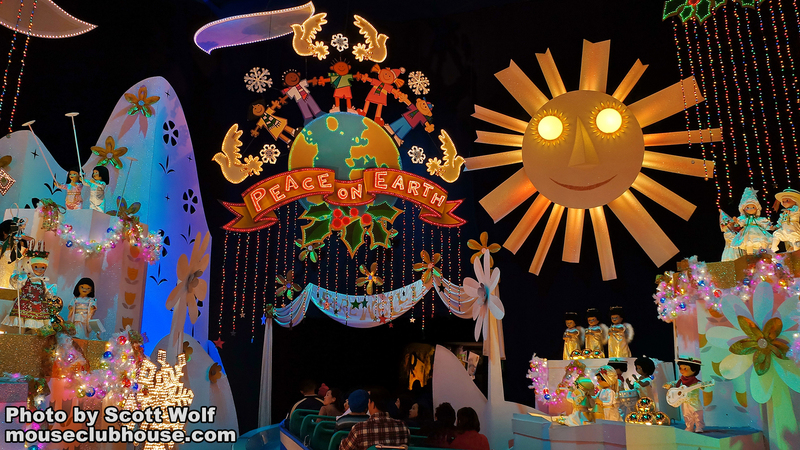 On this crucial day in the history of our country, which may so greatly impact all of our lives, I thought I’d post this photo I took inside “it’s a small world holiday.” It’s so disheartening to see the violence and division that has become of the American people, and I hope that now, at the end of this election, our country can begin to heal the wounds, begin to find tolerance towards those whose opinions we disagree, and that we can join in unity in our desire for peace.